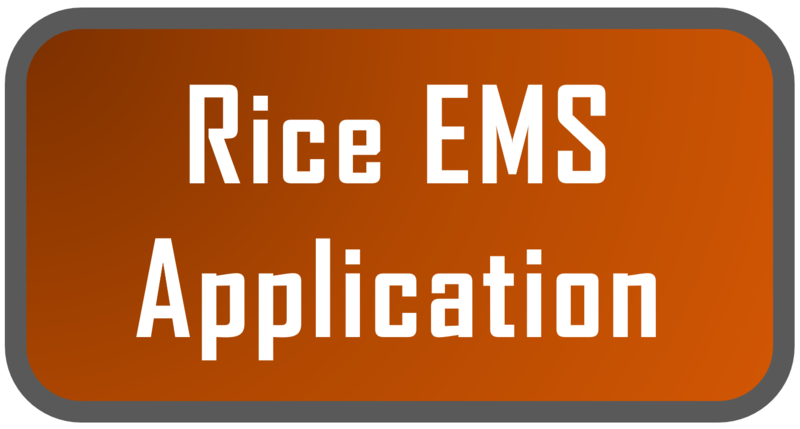 Rice EMTs work on a volunteer basis, donating their time to enhance the safety and quality of Rice University life. 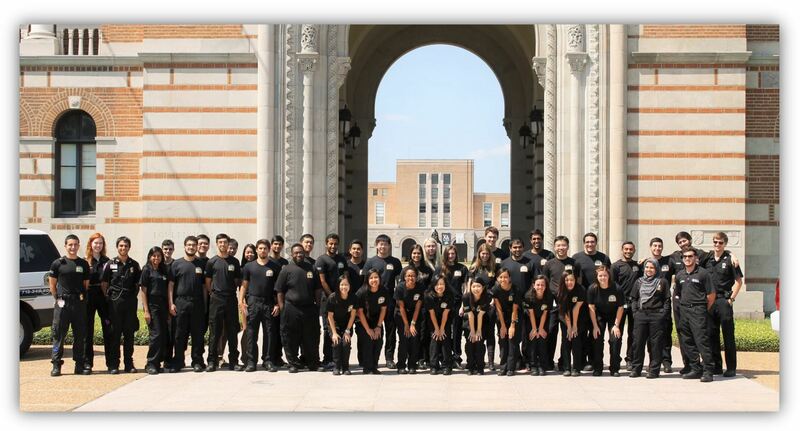 We operate as a branch of the Rice University Police Department. 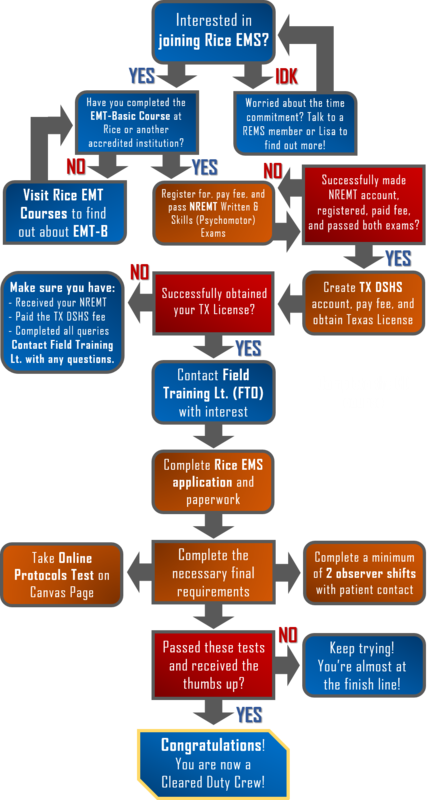 Rice EMS is not a student club or campus organization – it is a state-sanctioned EMS agency and its EMTs are official volunteer staff of the university, all of whom are held to certain standards. 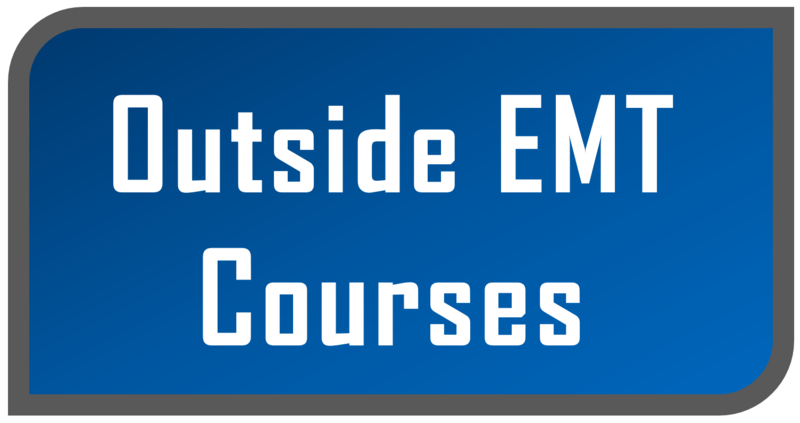 These include fulfilling work obligations, following a code of appropriate conduct (both on and off duty), and following all EMS policies and guidelines. 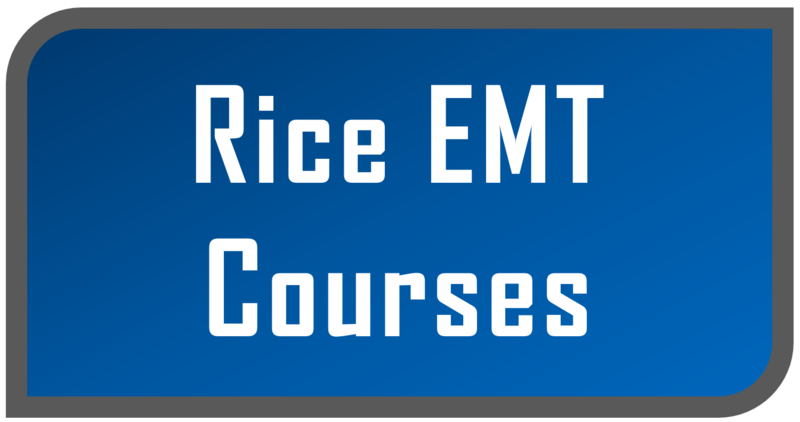 Rice EMTs are held to a higher standard than other students. 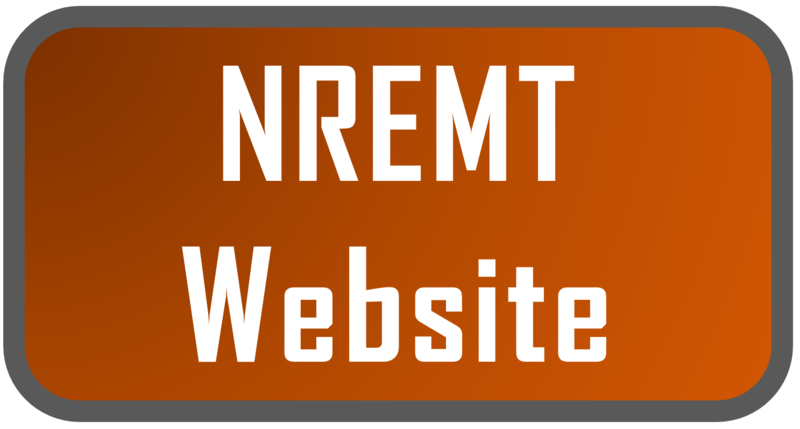 Any EMT who violates the law (for example, disclosing confidential medical information or inappropriate patient care) may face criminal charges or have his or her EMT certification revoked. More information about these rules can be found here. 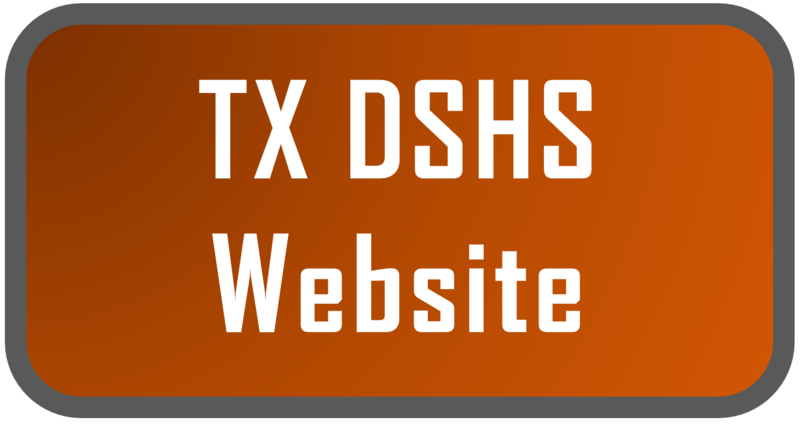 Don’t hesitate to email us with any questions you have. New members are always welcome! If you are interested in joining REMS, follow the flowchart below. For a numbered list view of steps, follow this link to a new tab. If you have made it through these steps, pat yourself on the back! 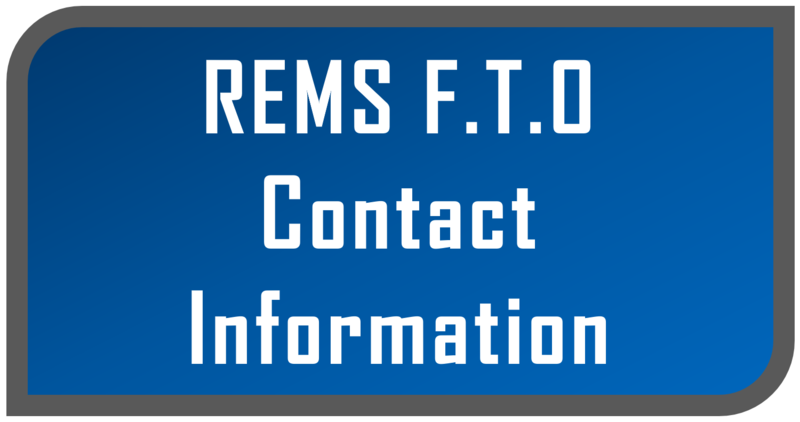 Congratulations – you are now a cleared member of REMS!